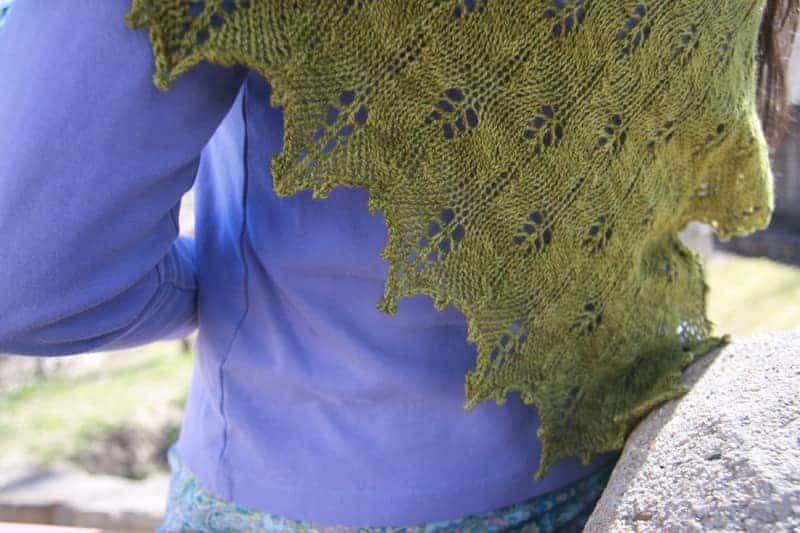 The Conifer shawl from Laura Patterson of Fiber Dreams uses the fir cone stitch to create a simple, beautiful design that, I have to say, looks fabulous in green. 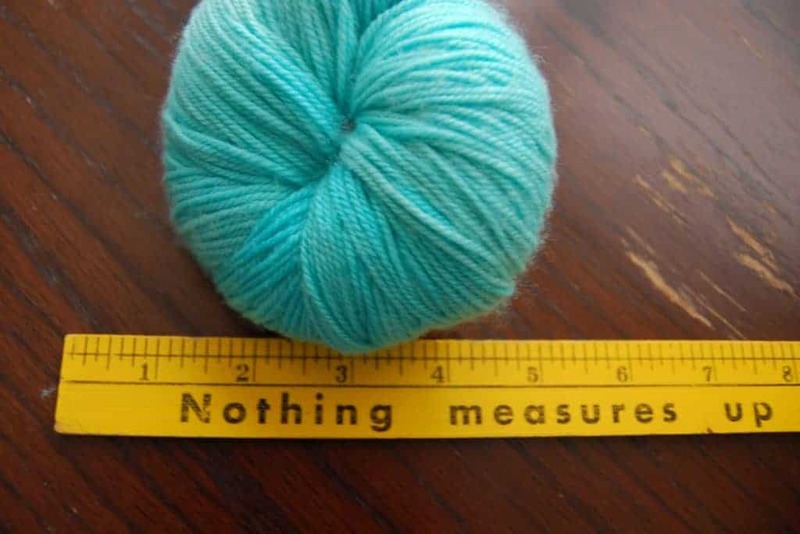 You can knit it in lace-weight or sport-weight yarn (the green was made with Miss Babs Yet in the Moss colorway), and Laura has done the calculations for five sizes in two different weights. Kiss me I’m… Scottish? 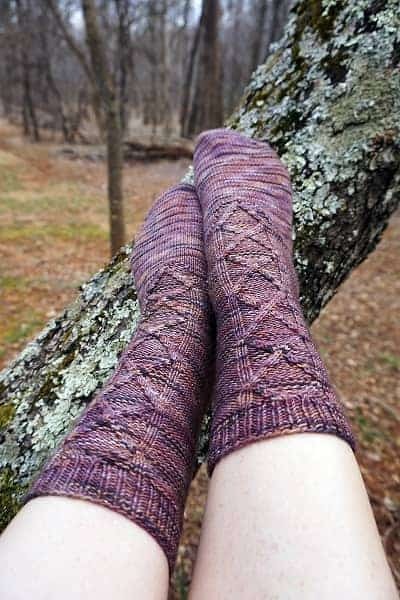 Lara Smoot’s awesomely-named Kiltie As Charged socks are inspired by the Scotland-based Outlander series on Starz, the third season of which will start airing next month. Lara decided to release the pattern in time for St. Patrick’s Day — yes, she knows it’s an Irish holiday, but since she’s Irish she decided to take a little liberty. You can use the coupon code Lucky for 50% off the pattern through March 31. Mothy and the Squid’s newest colorway, Distant Galaxies, is inspired by the beauty of outer space. 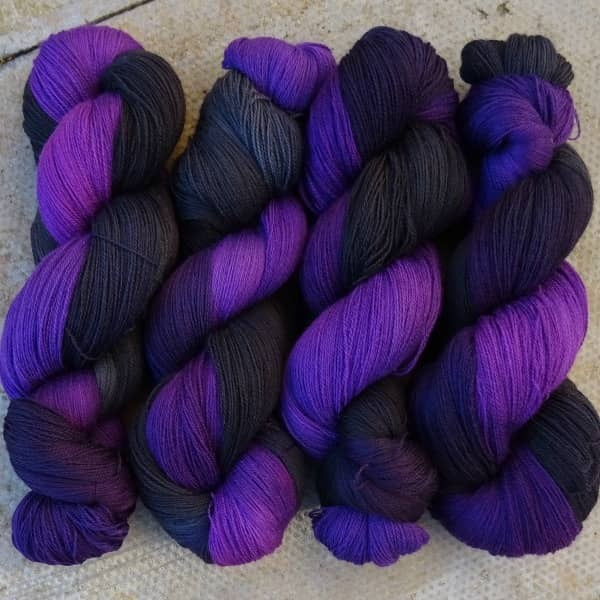 This gorgeous mix of black, purple, charcoal and violet is available on an appropriately sparkly sock and a thread-weight Merino/silk blend. More bases are on the way (in much less than light years). The sample for Michael Harrigan’s newest shawl design, the rectangular Monochrome Wrap, is knit in a black/gray/white monochrome, 100% Bluefaced Leicester yarn. It incorporates leaf and wing geometric lace patterns, with yarn creating tonal shading and shadows.